As the Summer Olympics continue in London, here are a couple of vintage postcards of historic sites elsewhere within Land of the Angles/Albion/Lloegyr. Today, it is a well-preserved heritage site and it is marketed as a location for family outings. 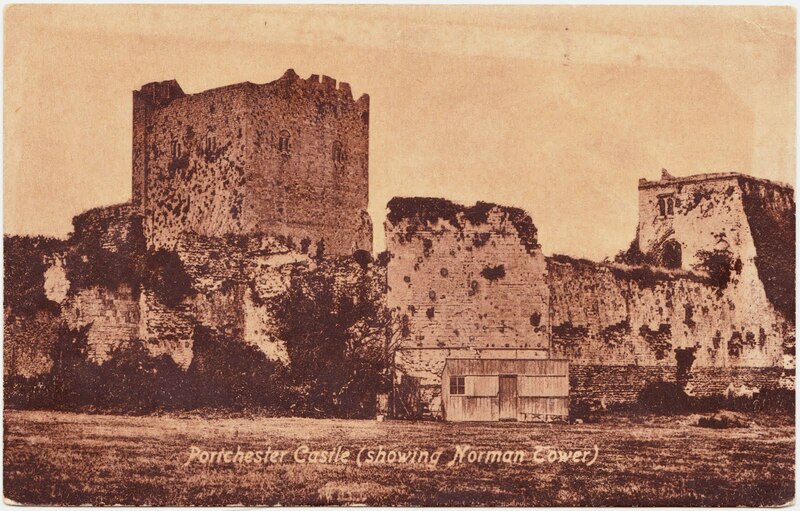 It has well preserved, as you can see by comparing the postcard with the modern photo of the castle. 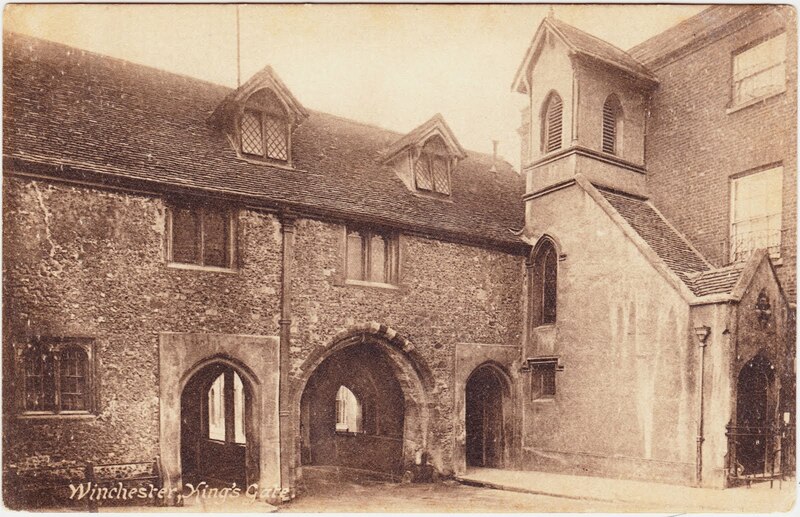 Above: This old Frith's Series postcard from my collection shows Kingsgate, which is one of two surviving medieval gates to the city of Winchester, England. The existence of a gate dates to at least the 1100s, while most of the structure shown here probably dates to the 14th century. 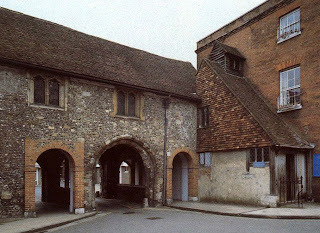 A small church — St Swithun-upon-Kingsgate Church — sits above the gate and is, unusually, incorporated into the city walls. Again, it is interesting to compare the postcard image with the modern photo of Kingsgate from a similar angle that is shown here. "Here is another of the few remaining old gates, — about all that remains of the old wall. Over the gate is a unique little chapel. There is a lot of interesting study to be obtained in looking over these old walls, — wonderful examples of the old builders' art. It ought to shame our modern contractors." 1. This postcard is undated and was never used. It was published by A.H. Sweasey of Southsea. 2. 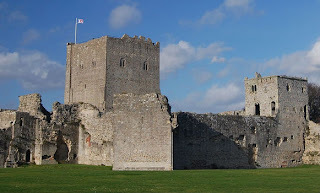 According to Wikipedia, Portchester Castle was last used as a prison during the Napoleonic Wars. More than 7,000 French prisoners were kept on the grounds. Per Wikipedia: "Those that died in captivity were often buried in what are now tidal mudflats to the south of the castle, their remains occasionally disturbed by storms."